The latest rumors say that tentatively titled X-Men: Supernova is scheduled to begin production this year. While those reports have yet to be confirmed, the film itself is without a director. Considering that Deadpool was a hit and critics agree that Logan is one of the best X-Men films ever, Fox wants to continue releasing more X-Men films. Now a new rumor has popped up saying long-time X-Men producer Simon Kinberg is being eyed to direct the film. More on the story below. Collider was the first to post the news. According to their sources, he has already written a script, which would focus on the Dark Phoenix storyline. That is pretty much in line with what has been reported in the past few weeks. If that is the case, then Sophie Turner would be set to return to reprise his role as Jean Grey. It’s not clear if the remaining cast members would return to reprise their respective roles. Kinberg has had a creative role in the X-Men film franchise since X-Men: The Last Stand, having written, produced, or consulted on X-Men: Days of Future Past, X-Men: Apocalypse, Deadpool, and Logan,. He’s also involved with Legion and has had a hand in Fantastic Four. Basically, Kinberg is one of the top guys for Fox’s Marvel department. His involvement should be enough of a reason to let him direct X-Men: Supernova. However, we have to take this news with a grain of salt. While Collider is a reputable news source, they hesitate to confirm that Kinberg got the job. Still, even if this is his directorial debut, he is very familiar with the X-Men universe that he has created. So there is a good chance that he could end up with the gig. 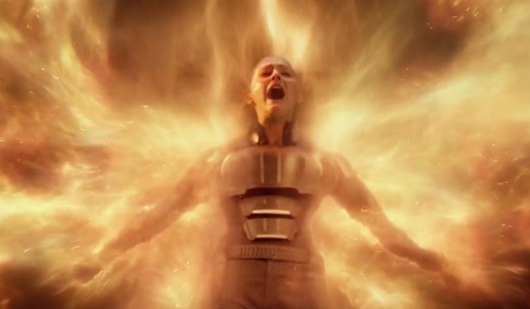 If X-Men: Supernova does adapt the Dark Phoenix storyline, it wouldn’t be the first time that we’ve seen it. X-Men: The Last Stand did a loose adaptation of it when Bryan Singer handed over his directorial duties to Brett Ratner. Most fans see The Last Stand as one of the weakest installments of the film franchise, so another adaptation with a new vision may be just the thing to give fans want they want. Of course, we will keep you up to date as the story develops.